Are There Differences in Hair Mineral Concentrations Between Metabolically Healthy and Unhealthy Obese Adults? Obesity is a risk factor for metabolic syndrome, dyslipidemia, hypertension, insulin resistance, type 2 diabetes mellitus, and cardiovascular disease. However, obesity is not a homogenous state and not all subjects in an obese population are at an increased risk for metabolic abnormalities. Thus, obesity types can be subdivided into metabolically healthy obesity (MHO) and metabolically unhealthy obesity (MUO) according to metabolic status. Body minerals are important and are involved in various metabolic processes that may be related to obesity. Thus, this study determined whether hair mineral concentrations differ between MHO and MUO adults. 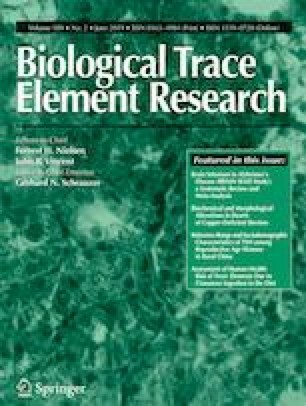 The associations between metabolic risk factors and hair mineral concentrations were analyzed in 141 obese Korean adults (62 MHO subjects and 79 MUO subjects). The MUO subjects showed significantly higher triglyceride levels, systolic blood pressure, waist circumference and body mass index, lower high-density lipoprotein cholesterol levels, and greater insulin resistance as reflected by the homeostasis model assessment-insulin resistance (HOMA-IR) index compared with MHO subjects. No significant differences in hair mineral concentrations were detected between MHO and MUO adults. Hair iron and cobalt concentrations were significantly negatively correlated with blood pressure in subjects with MHO. In addition, hair zinc concentration was associated with decreased systolic blood pressure. The results of this study suggest that mineral status in obese adults may play a role in metabolic abnormalities. Further studies with a larger number of subjects are warranted to identify the nature of the relationship between hair mineral status and metabolic risk in MHO and MUO subjects. For this type of study, formal consent is not required. The study protocol was approved by the Catholic University of Korea St. Vincent’s Hospital Institutional Review Board (IRB approval number: VC18RESI0177).